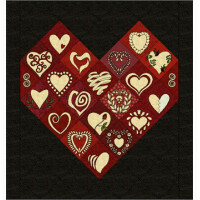 Appliqué hearts set on point shape a larger heart, giving the impression of a box of Valentine's chocolates. Quite an elegant quilt at that! 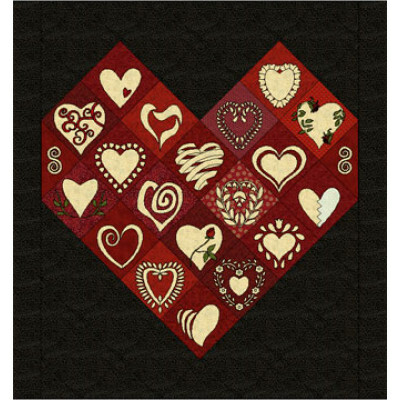 Finished size: 40 x 42½"
Although fast and easy, this applique project is still very elegant, with small hearts making up a.. Looking for something sweet for that special someone? Well, here's something fun, fun, fun!Pieced h..